Ferrall Pools installs high quality Graphex in-ground pools, and have been doing so each year for over fifty years. Why Pacific Pools? Because Pacific liners are designed and manufactured using the most advanced technology in the industry. Skilled and knowledgeable designers and machine operators take pride in every liner they make. As a result, you get the highest quality, best fitting liner money can buy. And together, we back every liner with one of the best warranties in the industry. 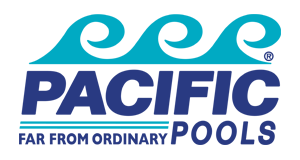 Why have we chosen to partner with Pacific Pools? Largest inground liner manufacturer in North America. Wide selection of designer patterns. Exclusive designs available only from Pacific Pools. Backed by one of the best warranties in the industry. Ultra-Seam is standard on every liner. Liners carry a 5-year full, 15 year prorated, transferable limited warranty. How do I know an in-ground pool is right for me and my family? Maybe I Should consider an above ground pool? It’s a question everyone considering a pool has to answer. Its a process, and a decision that we here at Ferrall Pools would like to help you work through. I know, your thinking “Ferrall only installs in-ground pools”, and your right, but we promise to be impartial and informative throughout the process. The last thing we want is to talk you into something you don’t need, or will not be extremely happy with in the long run. Here are some of the factors to consider when deciding on the right pool for you and your family. Pool prices vary a lot for both above ground pools and in-ground pools. But thatâ€™s because there is so much that goes into that equation. Why do you want a pool? How do you intend to use your pool? What type of yard do you have? How long do you plan to stay in your current home? There is alot to consider, and weâ€™d like to help you work through it. With pool walls extending above ground, a stationary above ground pool has a built-in safety features. Yet, while above ground pools might be statistically safer, an inground pool with thoughtful safety features, like fencing, alarms and mechanical covers are less likely to be the scene of an accident than an unsecured above ground pool. Let Ferrall walk you through safety features and help you make an informed decision. Above ground pools come in a llimited number of shapes and sizes. While there are many sizes and shapes to choose from when considering an in-ground pool, there are also options for greatly varying depths, even within the same pool. That is just not available with an above ground pool. There are also more add-on features available for inground pools, including but not limited to steps and entries, built in accessory mounts, deck jets and diving boards. To most people’s eyes, inground swimming pools are more attractive than above ground pools. Thatâ€™s not to say you can’t make an above ground pool look nice, but its going to cost additional money to get creative with landscaping or an attached deck. Above ground and inground pools require a lot of the same maintenance tasks, including cleaning, filtering, and maintaining chemical balance. As far as durability goes, inground pools â€“ particularly concrete with liners â€“ generally hold up much better than above ground pools. On the other hand, when an inground pool does need renovations or repairs, it can get expensive, after all, it is a permanent fixture on your property. An inground swimming pool generally adds value to your home, but probably not nearly as much as you put into it. Still, that’s better than an above ground pool, which can actually reduce property value. If you’re set on buying a pool, it’s worth considering what sort of asset you’re getting for your money.